Celebrate Earth Day this Sunday, April 22, 2012 with City Repair, at PCC Cascade Campus (705 N Killingsworth) from 11 a.m. to 6 p.m. 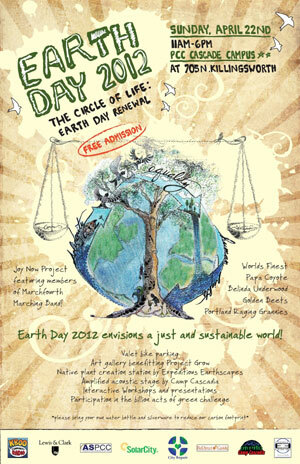 The Circle of Life: Earth Day Renewal is the theme. Valet bike parking: ooh la la! Admission is free. Visit the City Repair Earthday website for more details.